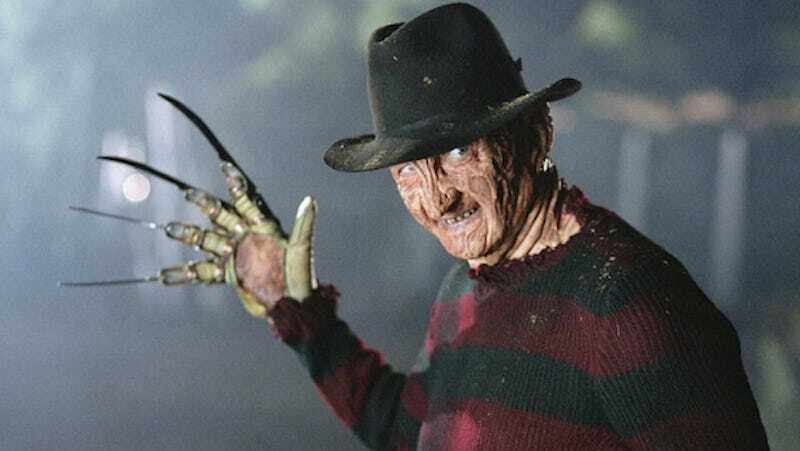 According to horrifying reports, five people were shot at a Halloween party in Texas after a man dressed as Freddy Kreuger walked into the house and opened fire. San Antonio’s KENS5 news reports the incident began around 5 am on Sunday morning when several men showed up uninvited to a house party “and started causing trouble” inside. Authorities told Fox the homeowners asked them to leave, and one of the men, who was reportedly dressed as the movie killer, pulled out a shotgun and fired into the crowd. Fox reports one neighbor says she heard six or seven shots and called 911. Four men and one woman were ultimately hit. The woman apparently tried to drive herself to the hospital but crashed her car on the way and had to be transported by an ambulance. All five victims are now currently recovering at area hospitals. Police are searching for the suspects, who are now likely dressed up in an even more bone chilling costume as everyday normal people.